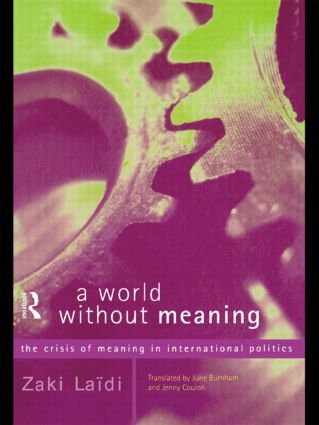 In this provocative and incisive book, Zaki Laidi argues that as our world becomes ever larger, our ability to find meaning in it diminishes. With the end of communism came the end of the intimate alliance between power and ideology. No power in our globalised world can any longer claim to provide meaning. In despair we look back to old models (religious traditions, nationalism, ethnicity) to give us a sense of identity. But in a globalised world in a permanent state of flux, just how effective are these old certainties? Zaki Laidi is a researcher at the Centre d'Etudes et de Recherches Internationale. He teaches at the Institut d'Etudes Politiques in Paris and at John Hopkins University in Bologna.